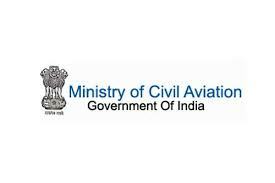 Ministry of Civil Aviation 2018 Jobs Recruitment. Ministry of Civil Aviation is inviting applications for the positions of Assistant Pilot Instructor, Assistant and more openings. Interested and Eligible candidates can apply for the positions. 1. Qualification: Candidate should be holder of AFIR(A) and must meet all eligibility criteria laid down by the DGCA for this post. 1. Qualification: Any Graduate with one year diploma in computer application from recognized Institution with minimum 02 years clerical experience. Typing speed of 30 wpm in English or Punjabi. Candidate should have passed Punjabi upto Matric Standard. Preference will be given to candidates with experience in educational or aviation organization. 2. Salary: Rs. 18,000/- plus flying incentive as applicable. 1. Qualification: Candidate must be B.Com/M.Com with minimum 05 year experience of maintaining accounts of a reputed organization. Candidate must be computer literate with knowledge of Tally accounting software. Candidate should be independently able to handle of Income Tax, Provident Fund, IGST or applicable laws and preparation of budget matters. 2. Salary: Rs. 24,000/- plus flying incentive as applicable. The above appointments will be made on purely contractual basis for a period of one year, which can be extended after review the performance on yearly basis. Application form along with Demand Draft of Rs. 500/- in favour of Punjab State Civil Aviation Council payable at Patiala and attested copies of educational and experience certificates, must reach to this office within 15 days from the date of publication of this advertisement by speed post/registered post.